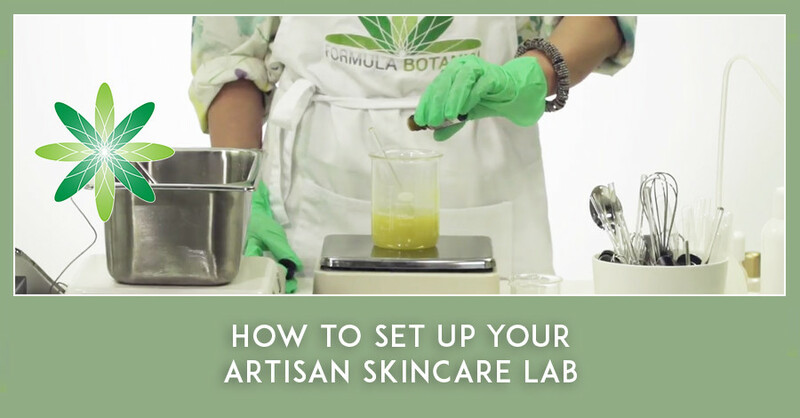 Today we are going to talk about what you need when you set up your artisan skincare lab. At first, it all seems a bit daunting (and expensive), because there are so many lovely pieces of equipment out there. What to buy, and what not to buy? It’s understandable to feel a bit lost at this point, so that’s why we decided to make a list of the top 10 essentials you absolutely need to take off with your studies and experiments successfully, once you enrol with Formula Botanica. Don’t underestimate the importance of your formulator’s journal. This is your absolute number 1 priority when setting up your artisan skincare lab. Without a doubt, a formulator is nothing without her journals. Notes on the finished product: visual appearance (colour, texture), scent (woody, floral, spicy, stinky, etc. ), skin feel (immediately, after a couple of hours, after a couple of days/weeks), changes you notice over a period of time, etc. Not so long ago I was leafing through my own formulator’s journal from my early days as a student, and I truly had a blast! 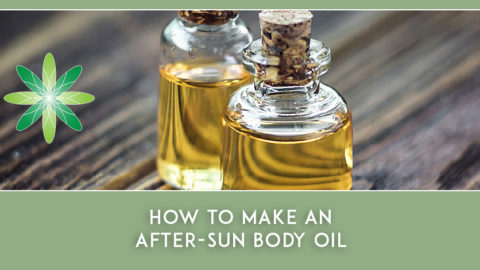 There were things I totally felt embarrassed about (adding rosehip oil for example before emulsification in the heating phase), BUT I was also quite often pleasantly surprised with some of the things I came up with! It’s fair to say that your diary is a recording of your journey as a formulator: it will not only help you grow and evolve, but you’ll also gain some worthy insights in how your ingredients interact together, and understand about procedures. Imagine for example that you have a favourite formula for an emulsion, which you make again and again. You keep your records, as always. For no apparent reason (maybe it’s just not your day), you distractedly add the oil phase to the water phase instead of vice versa. Your finished emulsion doesn’t feel like it always does, it’s not completely off, but it’s just not the same and you keep on wondering why. When you were consistent in writing everything down, you can find the answer in your notebook! I am old fashioned at heart, so I prefer to jot down everything with a nice pen on actual paper. I have a separate note book for hair care, facial care and body care, each with various sections for cleansers, moisturizers, and so on, for a straightforward handy structure. Every New Year I start a new set of notebooks! 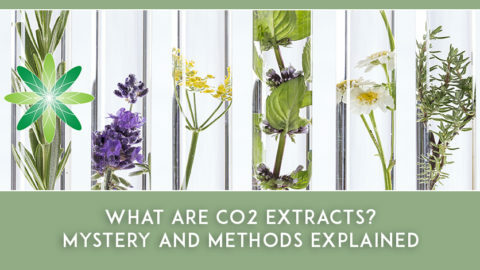 (Read our previous blog post on the skincare formulator’s most important lab tool). To be as precise as you possibly can, you definitely need some good scales. What are good scales in an artisan skincare lab? You don’t have to spend a huge amount on your scales when you’re just starting out; those cute jewellery scales are certainly a good starting point. To get you started, a precision of 0.01g is highly recommended. 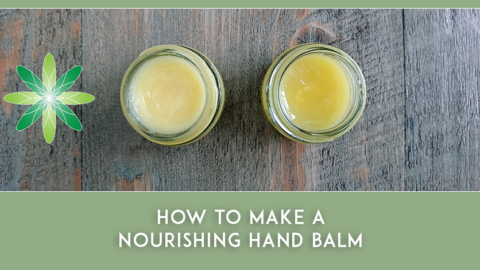 At first, you won’t be making huge batches, so imagine that you make a 50g batch of a beautiful balm, containing 0.3% of essential oil A; 0.2% of essential oil B and 0.1% rosemary CO2 (because you follow suppliers recommendations). This means that for your essential oil A you’ll need 0.15g; for your essential oil B 0.10g and 0.05g rosemary CO2. You can immediately tell that you won’t be able to measure these ingredients correctly when you have a precision scale of 0.1g instead of 0.01g. The capacity of your scale is totally your call. The range goes from 200g up to 5kgs. Keep in mind that the higher the capacity, combined with a 0.01g precision, the higher the cost will be. We advise that a 500g capacity is a great scale to get you going. 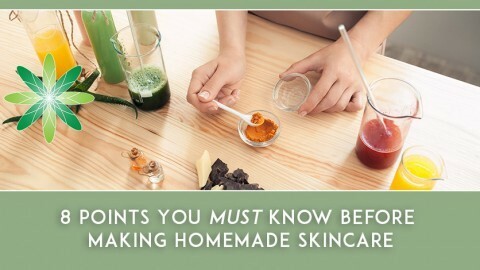 (Read our previous blog post on the right scales for making skincare). There is another reason why choosing the right scales is so massively important. It’s well known by now that in lots of DIY recipes they are counting drops instead of actual weighing. 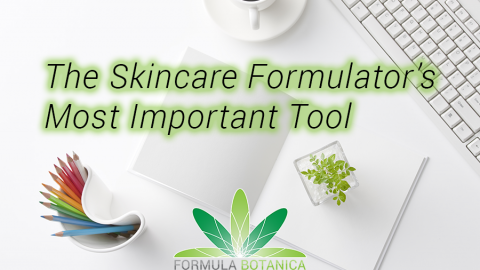 At Formula Botanica we teach our students to become formulators, meaning to know exactly why you are using an ingredient at exactly that %, instead of blindly following a recipe. Counting drops is always a no-go for a formulator, simply because a drop isn’t always the same drop. It depends on so many things: the weight / viscosity of the ingredient, the container it is stored in or the dispenser in the container. Some ingredients are runnier, where others are thicker and gloopier like syrup. Some have more volume, whereas others have less. Consider that 1 drop of water doesn’t have the same weight as 1 drop sunflower oil. Or, think about this: what is heavier, 1kg of stones or 1kg of feathers? Now visualise both quantities. When you have your 0.01g precision scale, it really is worth to have a fun little experiment to see it happening for yourself. 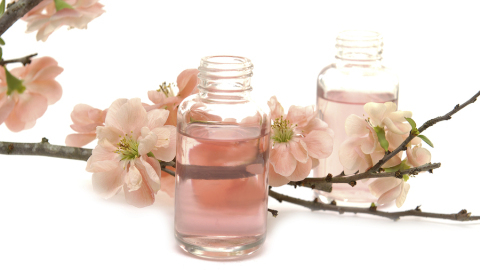 Try measuring 1 drop of different essential oils, or even the same essential oils, on a hot day and a freezing day. Carrier oils. Preservatives. And so on. Record everything and compare. We tried this experiment once with essential oils too. And finally, for correct readings and a long and healthy life of your scale, keep and use it away from heat sources (bain marie, hot plate,…), vibration (mixer, homogenizer, microwave, …), direct sunlight and humidity. And always measure on a stable and flat counter. 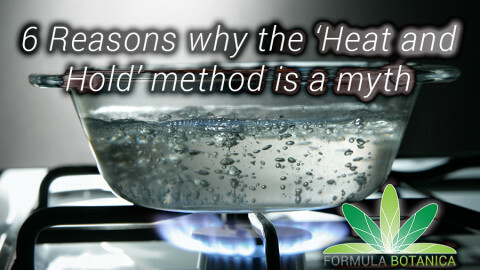 Even with natural ingredients, there is still a certain amount of risk involved. Essential oils can seriously harm your eyes, molten wax can burn your skin, or fine powders such as charcoal can irritate your airways when you inhale them. Personal Protective Equipment (PPE) should be part of your Good Manufacturing Practice, and it’s always better to be safe than sorry. By using PPE you are both protecting yourself, your product and your customers from contamination. A box of gloves, for 1 time use (dispose after use): there are different kinds of materials, and these are okay to use in a natural skin care lab: vinyl, latex, nitrile. And if you are hypersensitive, you can wear cotton gloves underneath them to protect your hands, you can wash them after use. These disposable gloves prevent cross-contamination of your products and should always be worn when formulating, no exception. Apron: this a knee-length overcoat which you wear over your clothes, and it protects your clothes from splashes and your products from contamination. I absolutely adore my Formula Botanica apron, it’s comfy and it makes me feel a part of this wonderful family and supporting community. Goggles: to protect your eyes from any splashes of essential oils, preservatives, and any kind of particle. Also it prevents eyelashes falling into your products! Ponytail + hairnet: because nobody wants a high performance product with a stray hair in it. Yikes! Closed shoes, only for use in your lab: to protect your feet from stuff dropping on it + to prevent contamination from outside coming into your lab. Beakers come in all sizes and shapes, and you cannot get enough of them, truth be told! Try to get hold of high quality heat resistant glass beakers to avoid painful accidents and breakages. When making hot process emulsions or working with waxes with a high melting point, your beakers need to easily withstand temperatures of up to 80°C. Most beakers have a handy spout (or beak) so pouring becomes easier and less messy. Beaker sizes range from 5ml up to 600ml and beyond. When deciding on which size beaker to order, give some thought to which sizes you’ll be using most depending on your batch sizes and usage. Consider some of the ingredients you’ll be measuring and working with, such as oils, butters, waxes, preservatives, essential oils, heat sensitive ingredients, etc. Also consider the size of the oil phase for your emulsions, the water phase for your emulsions, the beakers you’ll need for hydrating gum in glycerine and the beakers you’ll need for making 10% dilutions to measure your pH. Formula Botanica does not recommended heating your ingredients directly over a flame or a hot plate; instead we want to do this gently so we don’t burn or overheat our precious ingredients. The most well known water bath is the ‘bain marie’ where you put a heatproof bowl on top of a pan of simmering water. Alternatively, specialist cookery shops sell a double boiler, which is based on the bain marie principle but in one pot. You can also combine a hot plate, a pan of water on it and a thermometer so you can control the temperature of your water bath. You then place your beaker(s) in this self created water bath to gently heat/melt your ingredients. It is also possible to purchase a professional water bath with a thermostat, which can be very handy and professional, but might be a bit too expensive at this stage of your formulation journey. When you are making water-based products, you have to measure your pH. Measuring the pH is a necessity if you want to keep your formulations safe, stable and performing as required. Good quality pH strips that indicate a pH between 4 and 10 with an accuracy of 0.5 are a great and affordable choice when you’re first starting out. You don’t have to throw money around when you are still finding your way around, experimenting and discovering which route you want to go with your skincare or haircare formulations, or determining what kind of niche you’d like to develop for your future beauty brand. However, when you are moving further through your studies at Formula Botanica, you are likely to fall completely head over heels in love with water based products such as micellar waters, emulsions, foams, shampoos, toners. When this happens, you will want/need to be more precise because you’ll have to control your formulation’s pH. Almost all natural preservatives are pH sensitive (there are a few rare exceptions), which means that you need to adjust your formulation’s pH so that it is not only in sync with the pH of your skin (between 4.5 and 6.5) but also so that it falls within the working range of your preservative (most often between 5 and 5.5). In other words: the efficacy of natural preservatives is extremely pH dependant. For some preservatives even a slight difference of 0.5 in pH can make or break your product, aka cause stability or instability. When you are thinking about treating yourself to a pH meter, read this blog post about undertaking pH measurements and this blog post on using a pH meter. We cover pH measurement in detail in our Certificate in Cosmetic Stability Testing. I can’t think of a product that doesn’t need some kind of stirring, and/or ingredients that need some scooping out, so having stirring utensils in your lab is invaluable. When you watch Formula Botanica’s award-winning course videos, you’ll see us using glass rods of different shapes and sizes in order to be able to agitate our formulation sufficiently to create the finished product. You cannot control how your customers will treat your finished products, but you can control the Good Manufacturing Practice (GMP) in your artisan skincare lab, ensuring that your formulations leave your lab as clean as possible. This means that you want to avoid any contamination of your instruments, raw material, containers, counter, and of course your finished product. A solid hygiene plan should be a part of your GMP. Sanitising essentials part 1, the formulator: good old fashioned regular hand washing with a plain bar or liquid soap as a regular routine in your skincare lab. Sanitising essentials part 2, your lab equipment: washing your beakers and spatulas with hot soapy water. Sanitising essentials part 3, your lab environment: cleaning the floor and wiping the counter with dish washing soap. We recommend you apply boiling water whenever possible. Ethanol (30-95%), prepared from distillation and is the most naturally available disinfectant. Iso-propanol (30-70%) and n-propanol (30-60%), both synthetic alcohols. Vodka (around 40%), which is a good substitute for ethanol if you don’t have access to the others. Finally, some formulators think they should achieve sterilisation (= destroys and inactivates all forms of living microorganisms and their spores) but this can only be done with a dry heat oven and an autoclave. An autoclave can be a useful piece of kit to have in your lab, but in general we don’t work under sterile conditions in an artisan skincare lab, compared to surgery rooms in a hospital for example. We cover the difference between sanitisation, disinfection and sterilisation in more detail in our Certificate in Natural Cosmetic Preservation. So now, you have made a stunning formulation, it certainly deserves to be put into an eye catching container, don’t you think?! Ahhhh, this is bliss and also very addictive! Bottles! Round, square, tubular, oval … Glass, plastic, HDPE, PET … With an atomiser spray pump, a lotion pump, flip top cap, disc top screw cap, airless, foamer … White, clear, black, all the colours of the rainbow. There are tiny cute jars where you all go “awwwww”; up to a big ol’ chunky pot, and everything in between. Moulds! Oh, I love moulds! I admit, it’s one of my secret guilty pleasures. Silicone moulds (the ones for chocolate making are just perfect! ), sturdy plastic moulds, Milky Way moulds … High on my absolute favourite things to make (and use!) are butter scrubs and body melts, and the silicone moulds are just perfect for this. If you are new to this, have a peek at two of our past formulation challenges where we teach you how to make a butter scrub and how to make a body melt. And of course, like always, keep all this loveliness in separate closed cartons, drawers or bags to protect them from dust and contamination. A bottle of a very fragrant ingredient (neem perhaps?) that drops onto the ground making your lab smell/stink for aaaages. Using a non-heat resistant glass beaker in a hot water bath ….. pop goes the bottom! Your beaker that is cooling down in an ice water bath, which you’ve been stirring to a trace for quite a while with lots of care, suddenly decides to tip over in the water bath, hence completely ruining your batch and precious ingredients. While whipping a butter you, out of the blue, lose control over the beaker, causing more than half of the butter get smeared all around your kitchen, floor, cabinets, fridge, yourself … everywhere, except where it should be. Dropping a new bottle of yucca at exactly the wrong spot of the bottle causing it to break, so your floor is all covered with splinters of plastic and bubbles, bubbles, bubbles. Accidently bump at the wrong angle against the cup where you keep all your 15 glass spatulas, causing them ALL to drop onto the floor into a million of pieces … except the one you are holding in your hand. Using cocoa butter pellets instead of rice bran wax pellets (because the bags they are stored in look soooo much the same), and wondering why your finished product is so soft even though you have used 4% of this “wax”. Carefully adding an essential oil drop by drop, measuring it out on the scale, and suddenly the dropper cap decides to give up and fall off, causing more than half of the bottle ending up in the finished product. Dermal limits going through the roof! Believe me, I have many more of these stories to tell! I can be a clumsy silly sausage like that. Chances are likely you won’t do all of this, but sometimes … yeah, bad luck and heavy-handedness just happens. And of course, at that exact moment there will be some swearing involved, or shouting “noooooooooo” really loud (shockingly, that doesn’t help), but at the end of the day: it happens to all of us, and even the best of us, at one point. 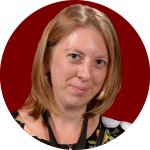 Ingredients – but that is an entirely different story for many other blog posts. Space – you will need organise your ever-growing stash of ingredients, equipment, containers, store your samples and notebooks in your skincare lab. Dedication – to put a lot of work into research and profound experimenting. Time – give yourself the chance to learn to walk first before starting to run. This is the only way to get a grip on everything, to put down a solid foundation which you can always refer to, and which you can surely but steadily can build on. Baby steps and all that. 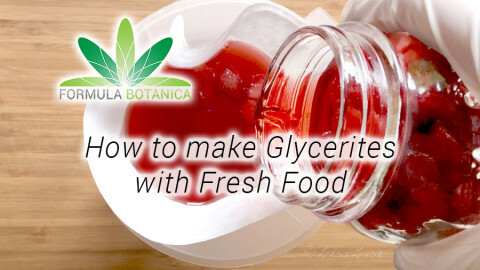 Good grace – go back to the ‘keep it silly simple’ (KISS) principle every time you start to work with a new ingredient. Perseverance – don’t give up when Murphy’s Law is trying to catch you. Imagination – Walt Disney once said: “Disneyland will never be completed. It will continue to grow as long as there is imagination left in the world”. This can be about you too. Because “Laughter is timeless, imagination has no age, and dreams are forever”. Out of the box thinking – After mastering the basics, your foundation is strong enough to think outside the box and get innovative! A smile and a warm heart – I believe that a product made with love, hence a smile on your face and a fuzzy happy heart can truly make a difference. Did you know that in sales they teach you to smile when you pick up the phone? The person at the other end will unwittingly ‘hear’ this, making communication much more friendly and pleasant. Even cookery chefs know this: that they need to put that extra bit of love and care into their dishes as a secret ingredient. I hope you enjoyed this post, and please feel free to share your thoughts, ideas and silly accidents happening in your artisan skincare lab below, as I’d love to hear from you. Introducing our 2017 Formula Botanica YearbookHow is this formulation preserved?